Chesterton fans are going to have to realize that what we don’t need right now is “more democracy”. Not on any level. What we need today is the courageous exercise of authority. What we need today is a virtuous and well-formed elite that is capable of winning the common man’s respect and admiration. William Luse on Jack Bauer and the mystery of iniquity. Steve Skojec on liturgy here and here. Elena Maria Vidal reproduces the last letter of Marie Antoinette. Beautiful and heartbreaking. Dust I Am on things you never knew about hoeing the garden. Rod Dreher on the power of tradition. Phillip Blosser on the narcissist generation. Joseph Bottom on death and politics. A helpful reader has alerted me to a very practical homesteading site called The Backroad Home. Do have a look. Most of you are probably aware of Steve Skojec’s new Catholic Restorationist project. The CR’s excellent charter can be read here. The latest phase of this project is the launching of a group weblog in which each member has posting privileges. I don’t generally go in for group blogs. It is all I can do to maintain my own, and furthermore, at some point I am certain to get in trouble with the authorities. My views don’t seem to be an easy fit anywhere. That said, the new CR blog happens to be engaging the same problems that have been my own preoccupation for the last few years. Even better, they are intent upon not merely asking the right questions, but acting upon the answers. In real life. There are already several good posts up by other members, and I hope to contribute something myself now and again. Please bookmark this site and make it a daily read. – Cardinal Ottaviani, as quoted in “Action: A Manual for the Reconstruction of Christendom” by Jean Ousset. 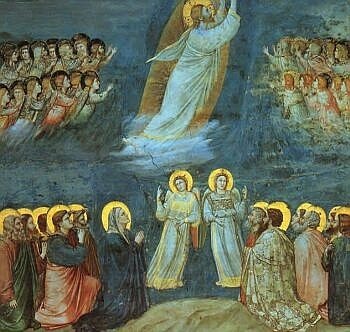 Today is Ascension Thursday, and the FishEaters website has some interesting tidbits on Ascension Day customs. (By the way, if you’re not well acquainted with FishEaters it is about time to remedy the situation!). If you work in a place like this, you might be a Loser. “Another way of saying this is that a new technology tends to favor some groups of people and harms other groups. School teachers, for example, will, in the long run, probably be made obsolete by television, as blacksmiths were made obsolete by the automobile, as balladeers were made obsolete by the printing press. Technological change, in other words, always results in winners and losers. Mr. Adrian Martin, venerable host of The Old Tode web log, has graduated from the University of Hawaii. Now the fun begins! Daniel, who hosts Ride of the Rohirrim, met his finance through CatholicMatch and has some interesting thoughts about meeting online. Meanwhile, Chris of Domine Non Sum Dignus complements the topic with some ruminations on courtship. The Yeoman Farmer reminds us that “pump first, pay later” gas stations still exist in the heartland. We don’t have any of these in Orland, but one of the first things I noticed after moving here is that our drive-through businesses hand you the order before taking your money. Aren’t they afraid of me driving off? I guess not. And I still find it strange that some of our downtown establishments leave their merchandise and sandwich boards outside – totally unsecured! – when closed overnight. Here’s Cardinal Siri’s famous Notification Concerning Men’s Dress Worn by Women. This one is always a good reminder of Catholic thinking on the topic. The foregoing link, by the way, was brought to my attention by the wonderful Elena-Maria Vidal of Tea at Trianon – a web log of the highest quality and content. I’m currently reading her gripping historical novel Trianon, a portrait of the French royal family at the time of the revolution. As I progress through the evocative and exceptionally well-written pages of this work, I am beginning to think that it belongs on every Catholic bookshelf. Along the same lines, Requiem Press appears to be offering a bulk discount on a fine little booklet titled The Chapel Veil: Symbol of the Spouse of Christ. I recommend purchasing a batch of these for your parish bookstore. Yesterday, the feast commemorating Our Lady of Fatima, was also the 7th anniversary of our being received into the Catholic Church and the first annual May Crowning for the Latin Mass community in Chico. LeXuan made the beautiful crown of flowers that was used in the ceremony. And tomorrow is the patronal feast day of our homestead, St. Isidore Ranch. Amidst the celebrating there is still too much work to do. Nevertheless I should get around to answering e-mails and comments shortly. Thanks for your patience! A note on “self-sufficiency”. Much of the literature seems to emphasize “self-sufficiency” and economic independence – especially “food independence” – to an extent that is, in my opinion, entirely unrealistic. Even if it were possible for a homestead to be self-sufficient, I don’t regard this as a good thing at all. Catholic social doctrine is essentially communitarian: economic independence is not on the radar screen. What we are dealing with, I suspect, is the infiltration of American/Protestant individualism into Catholic agrarian thought. I agree with what Al wrote in the same comment thread. The goal of self-sufficiency should be seen as applying to communities or regions, not individuals or households. It is true that modern man is too dependent upon far-away factories and farms. This is an extreme situation brought about by an extreme economic ideology. As is often the case, the danger is that an extreme situation will bring forth an extreme reaction that will also miss the mark. The answer to collectivism is not individualism, and the answer to the “global village” is not isolated self-sufficient homesteads. 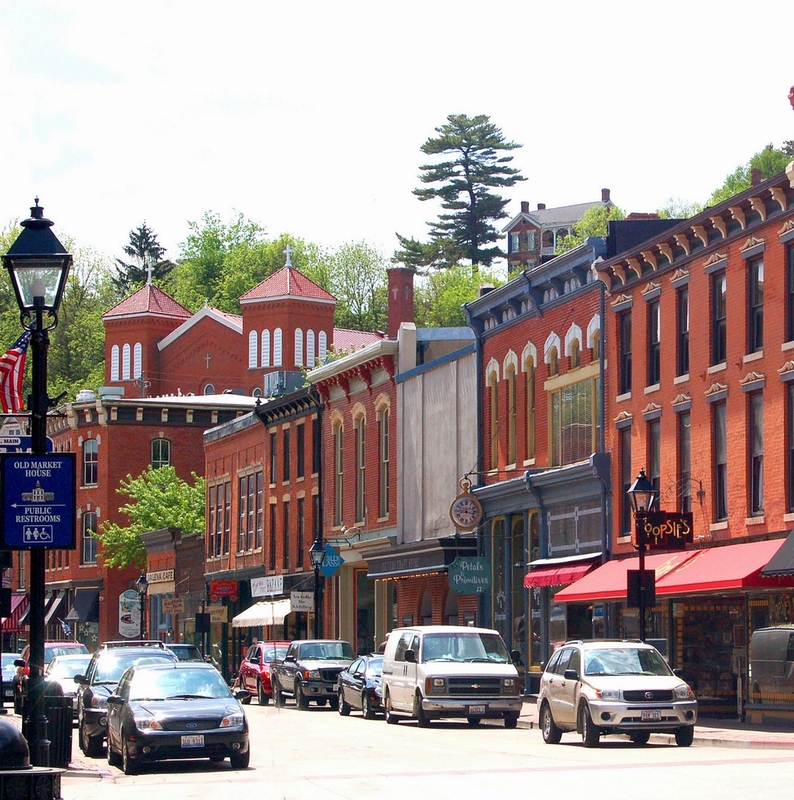 Catholics should work toward building local, regional economies with minimal dependence upon outside corporations. Northern California, for instance, could be almost perfectly “self-sufficient” if the residents here so desired. We have lots of fertile ground, plenty of local water, and a long growing season. We have a large enough population to maintain economies of scale where required. Regional self-sufficiency is within our grasp. There’s just one little problem with this: sacrifice. My neighbors and I would have to sacrifice our illusions of material prosperity. Jetskis, laptop computers, and “fast food” restaurants might disappear entirely. In order for regional self-sufficiency to become a reality, you need to settle someplace where sufficient numbers of people think regionally. Big cities are therefore out of the question. Back to your original question. If you can, find a place to settle in the country that allows you keep a decent job. That could mean settling near a larger city where employment is available. I would recommend keeping your commute under 45 minutes each way. Here in Glenn County many people work across the river in Chico, a metropolitan area of almost 100,000. I think the average commute to Chico is probably around 30 minutes: not bad at all. The point is that the earlier you move to the country, the better. It gets harder the longer you put it off. I wish we had done this fifteen years ago. You are young and can afford to start slowly, one project at a time. I would recommend renting a small house or mobile home on a couple of acres and starting with chickens and a little garden. Take your time. Read all the books in The Yeoman Farmer’s sidebar. And don’t be afraid of renting or living in humble lodgings. We have a mobile home on our place that we rent out to another family, for $650 per month, along with about an acre of land. They could easily have a large garden, some fruit trees, chickens for eggs, rabbits for meat, and a couple of goats for milk. It’s enough for a wholesome, quiet, and hard-working country life. Although the goal may not be “self-sufficiency”, the less dependent you are upon the industrial food providers, the better. Eggs and milk are probably the easiest and most rewarding things a homestead can produce. A garden can supply a large percentage of the food you consume, especially if you freeze your vegetables and eat them year round. Five or ten fruit trees will give you all the fruit your family can eat with plenty to spare. Apart from a couple of chickens and one goat, we haven’t supplied much of our own meat – but we’ve got one steer in the pasture that is almost ready for the butcher. He’ll provide us with a year’s worth of beef. They tell me, also, that rabbits are a very economical way to raise meat for your family. You should ask Mr. Curley about that. There is another thing to consider. We are blessed to have two good Catholic families who live nearby, both of whom have years of expertise in rural living and various aspects of farming and ranching. We’ve relied on them tremendously – for advice, material help, and also for emergency labor. I can’t begin to tell you how important their assistance has been. Of course we have also relied on kind neighbors and local merchants, but without these good friends things would have been much more difficult for us. So, if possible, choose a place that has this kind of advantage for your family. When you move to the country you’re going to need three basic things: a pickup truck, a dog, and a shotgun. The truck is indispensable: you’ll use it more than you ever imagined. The dog will guard your place and alert you to problems with critters. The shotgun … well, I’m not sure why you’ll need it, but everyone has one so you had better get one too. I haven’t used mine much – I shoot some clay pigeons now and then – but it’s good to know it’s there. You’re going to need lots of other things you never thought about before. Tools, for example. Tools you have never heard of. If you’re not already familiar with tools, you might want to take a class, do some reading, or start a small building project. I’m not very mechanically inclined myself, but I’ve had some shop experience and can fumble around with some basic tools. You’re also going to spend a lot of time fighting weeds and pests. You’ll need, at minimum, a sprayer and a weed-eater. But these kinds of things are “learn as you go”, and you really don’t need to worry about them until a problem comes up. Take your time, enjoy the peace and serenity that country life offers, and your “education” will take care of itself.